Suggested Usage: As a dietary supplement, take 1 capsule 1 to 2 times daily between meals or on an empty stomach. 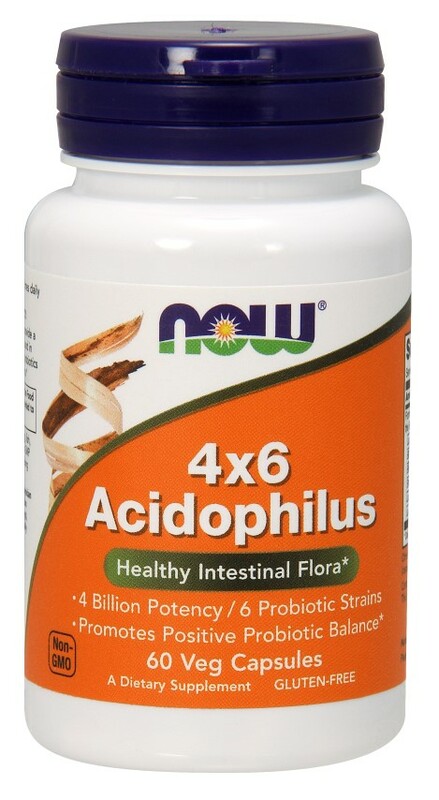 Consider taking this product in combination with a NOW- fiber supplement, Nutra Flora FOS and Optimal Digestive System. Other Ingredients: Potato Starch, Gelatin (capsule), FOS (Fructooligosaccharides), Magnesium Stearate (vegetable source) and Silica. Contains milk derivatives. Contains no: sugar, salt, yeast, wheat, gluten, corn, soy, egg, shellfish or preservatives. Provides 8 Billion microorganisms per capsule at time of manufacture.